Successful sellers on Amazon exhibit many similar habits, using the Amazon Seller App is one of them. There is a good reason for that as there are many features that can make your job easier and help keep you connected to your business on the go! 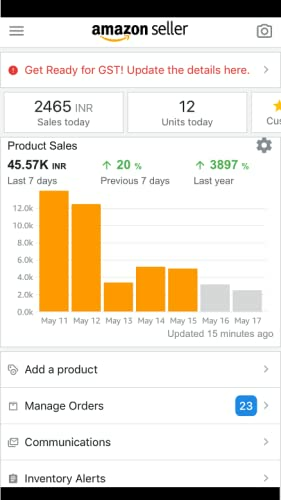 There is a feature on the home screen of the App that lets you analyse your sales. 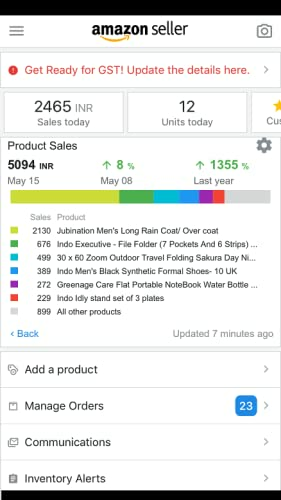 You can tap a bar in the sales chart to see a breakdown of sales by ASIN. 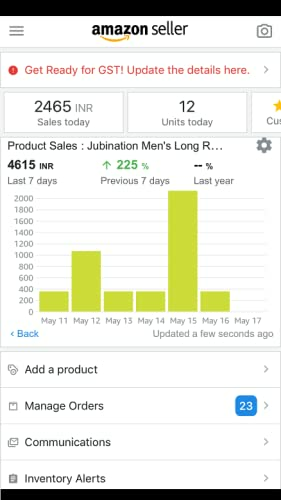 You can also tap an ASIN to see the sales trend for that ASIN. Aside from this, you can tap the settings wheel to select the date range or units. TIP: You can also compare today’s sales against the historical trend by selecting ‘Last 30 days’ range. This feature is also available on the home screen of the App. You can swipe the top tiles for quick access to more information including customer feedback rating. Knowing your customer feedback immediately is always beneficial. It helps you foresee product issues much faster and act quickly. 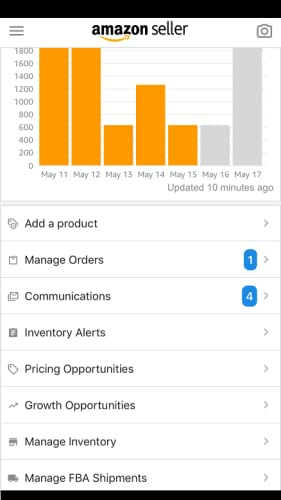 You can now review numbers that appear next to Orders and Communications on the home screen to see how many unshipped orders your business has or how many customer messages await a response. With the ability to respond quicker, this feature can help you manage your account health. Amazon.in now personalises the home screen based on your account type (pro or individual) and Seller Central user permissions. Pro sellers can manage employee access to specific features on Seller Central in Settings, User permissions. 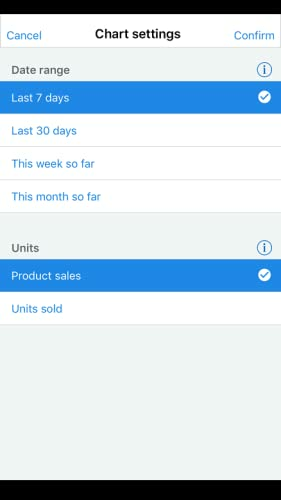 For sales data, please adjust permissions for the row labelled Business Reports, Sales Summary. Access the scanner from the camera-shaped icon at the top right of the home screen. You can see them in all the previous screenshots. 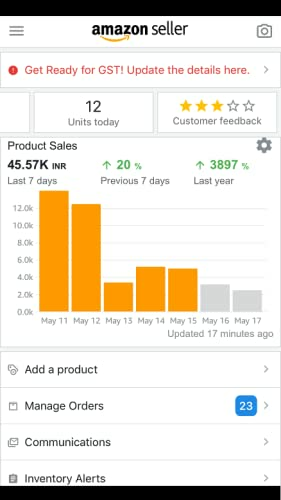 If these features excite you and you think this could be helpful in growing your business, then please download Amazon Seller App from Google Play Store and iOS App store. To use these features, you need to be an Amazon Seller. To register, please click here.